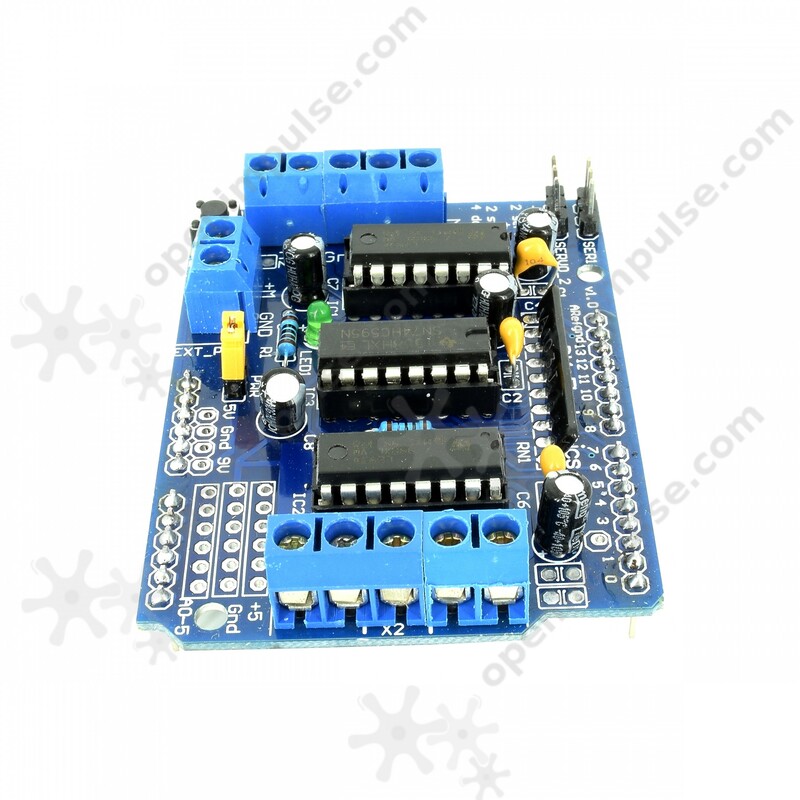 This motor driver shield is based on L293D motor driver chip which is designed to provide bidirectional drive currents of up to 1.2 A each bridge with thermal shutdown protection at voltages from 4.5 V to 36V. 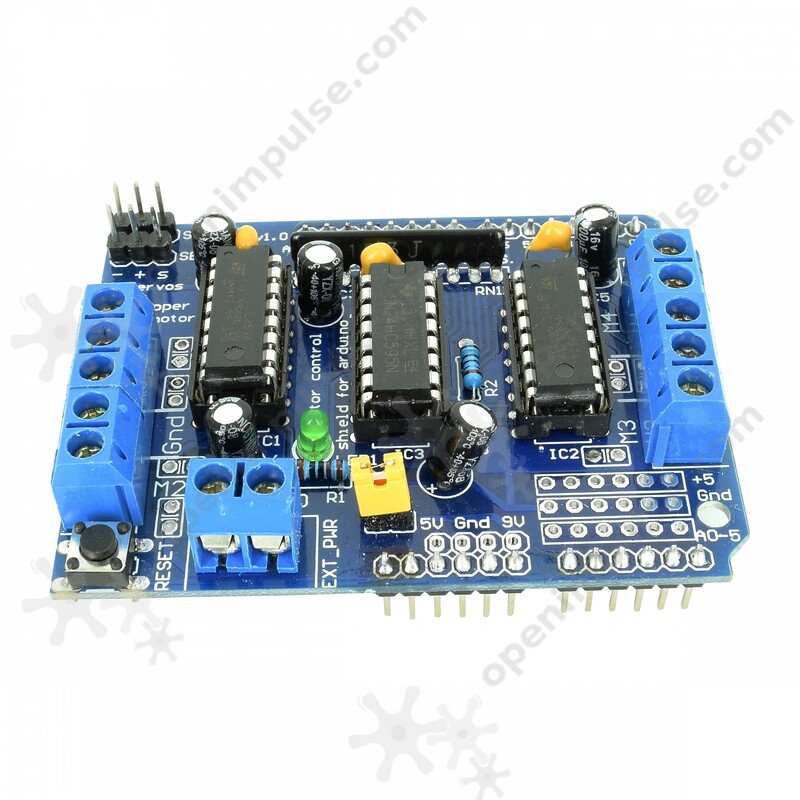 This motor driver expansion board is based on the L293D chip which is designed to drive up to 4 bidirectional DC motors with individual 8-bit speed selection. It can also drive 2 stepper motors (unipolar or bipolar), single coil or double coil, interleaved or micro-stepping. 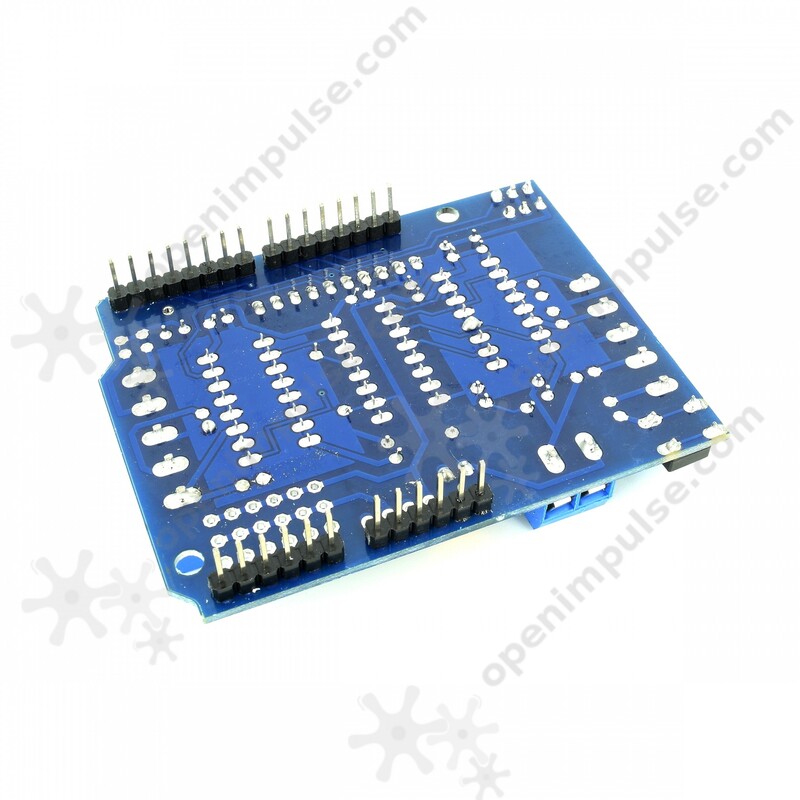 It contains 4 H-bridges which provide up to 0.6 A per bridge (1.2A peak) at voltages from 4.5 V to 36 V.
This shield has pull down resistors to keep the motors disabled during power up. 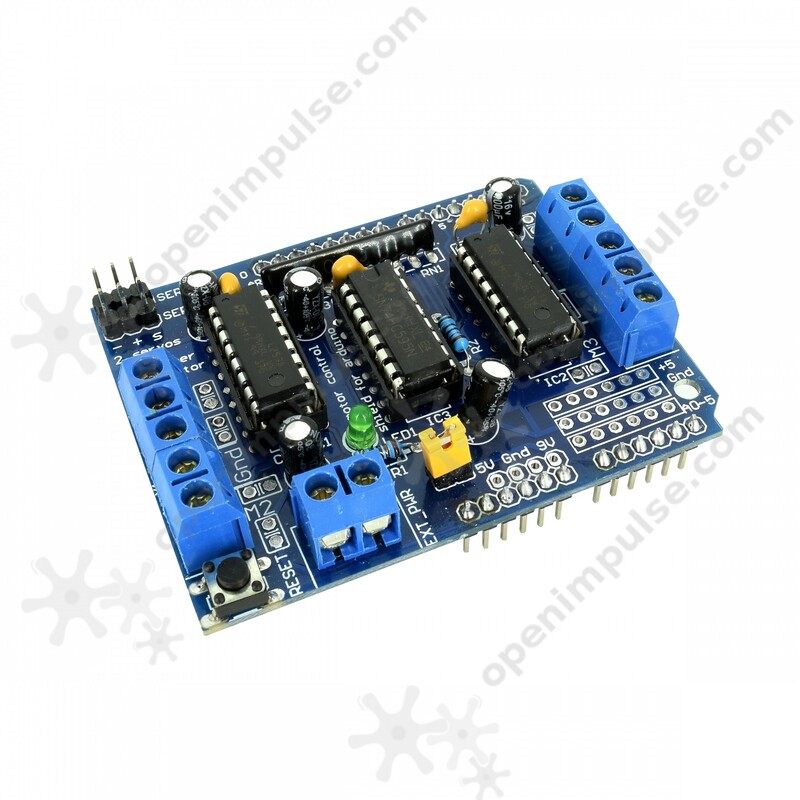 It also features a 2-pin terminal block to ensure separate logic and motor external power supplies. 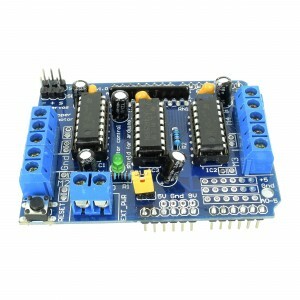 This expansion board is compatible with Arduinos Mega, Diecimila, and Duemilanove.